Accommodation must be one important factor during a long trip. Here we Tibet Travel Expert recommend top 10 Lhasa reputable hotels for foreign travellers. But we’d like to kindly remind that foreign travellers do not expect hotels in Tibet to the same standard as in your country. 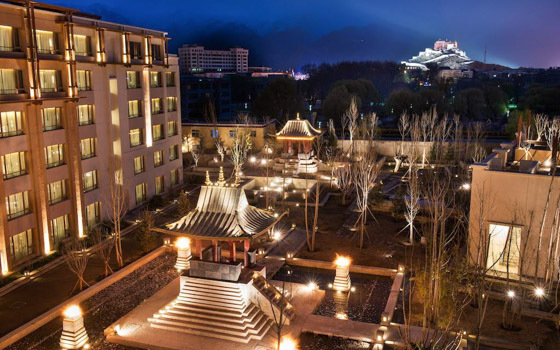 The luxurious St. Regis Resort has been listed as No.1 best value hotel in Lhasa according to TripAdvisor. It has occupied great location that is about 8 minute taxi ride from Potala Palace and only within walking distance from Jokhang Temple. The Hotel offers 162 beautiful and spacious rooms with modern facilities. 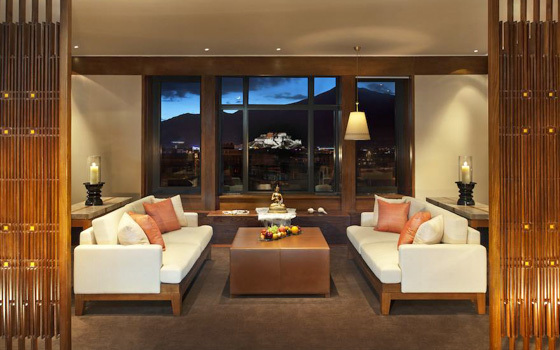 St. Regis Resort will leave you an unforgettable memory of a comfortable stay in Lhasa. Shangri-La Hotel sits on Norbulingka Road and is very close to both Norbulingka Palace and Potala Palace. There are 289 spacious rooms in the hotel from standard single room to deluxe suite with high end facilities. As a result, Guests can enjoy a wonderful accommodation experience here. Located on an alley inside Barkhor quarter, the hotel is only a few minutes walk to Jokhang Temple. 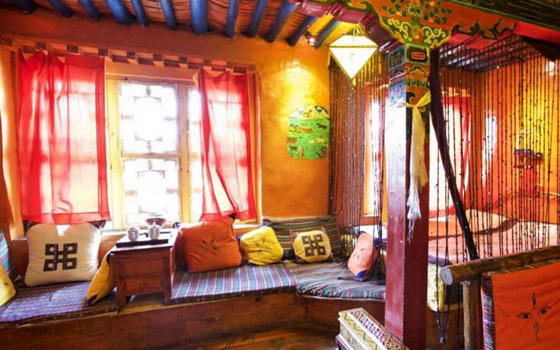 All rooms are in Tibetan decor and guests can find Tibetan murals as well as full sets of Tibetan daily house objects. Located on Linkuo North Road, Tashi Choeta Khangsang Hotel occupies a great location near Barkhor Street. It has a modern architectural style mixed with traditional Tibetan features which can provide travelers a better relaxing experience. Moreover, the hotel is reasonably priced with great quality. Besides, Tashi Choeta Khangsang Hotel is our favorite hotel in Lhasa that we’d like to recommend to our guests! 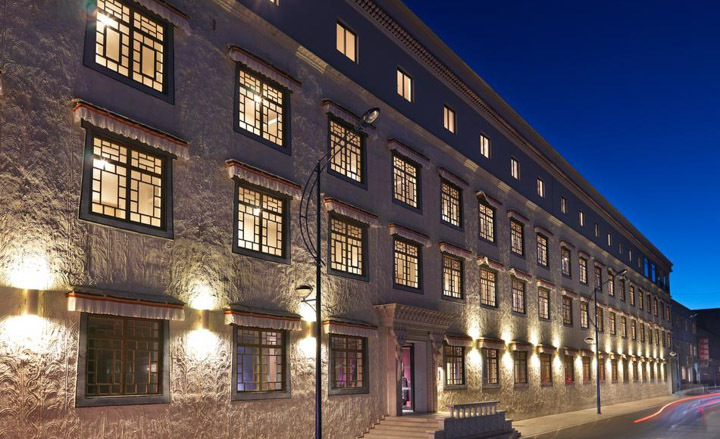 Located in the Lhasa old downtown center, the hotel is only within a walking distance from Barkhor Street and Jokhang Temple. There are 25 beautiful rooms in the hotel and free WiFi and 24-hour water are also widely available. 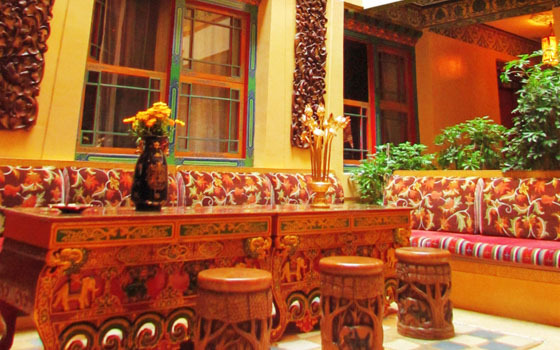 Situated quietly in the historic center of Lhasa, the hotel offers 20 rooms decorated with exotic Tibetan features and provides 24-hour hot water and free WIFI. On the roof terrace, guests can enjoy the amazing view of Potala Palace. 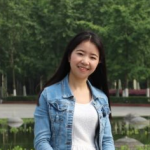 It’s a nice choice for foreign guests who want to enjoy an authentic local experience. 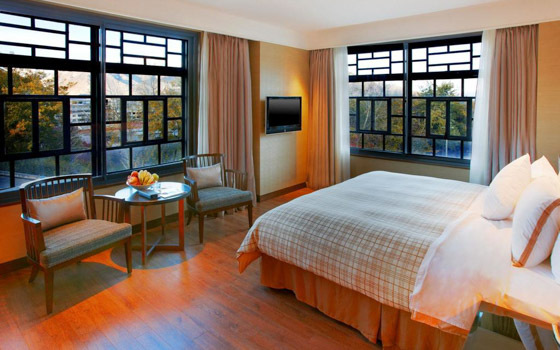 Four Points by Sheraton Lhasa is a deluxe modern hotel in the center of Lhasa. Jokhang Temple and Barkhor Street are both within walking distance. The hotel has a total of 102 spacious and comfortable rooms which are well-equipped with flat-screen TV, private shower and bathtub. 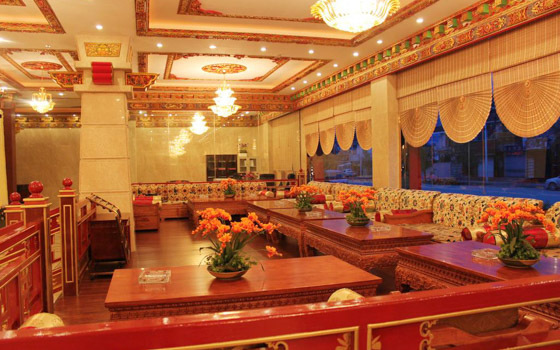 Shambhala Palace Hotel is a top pick among Lhasa hotels. 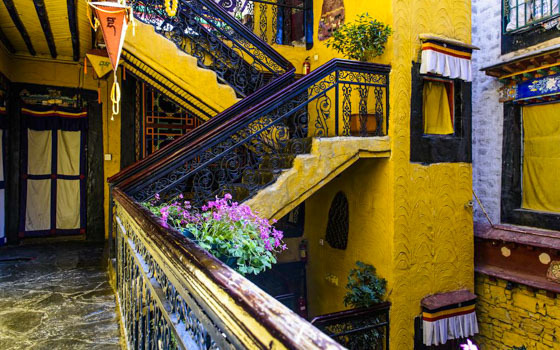 It’s one of travelers’ favorite hotels in Lhasa because it has a traditional Tibetan style of architecture maybe. It’s quite close to Jokhang Temple and Barkhor Streets. 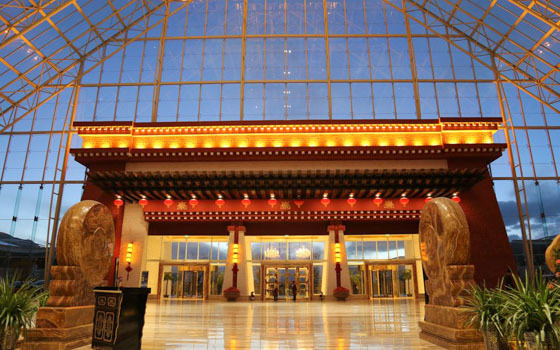 InterContinental Lhasa Paradise is the highest in altitude Intercontinental Hotel in the world. It is situated in the eastern side of Lhasa by the Lhasa River on Jiangsu Avenue. The hotel has unparalleled facilities including two conference halls, multiple restaurants and bars, indoor pools, spa center, etc. 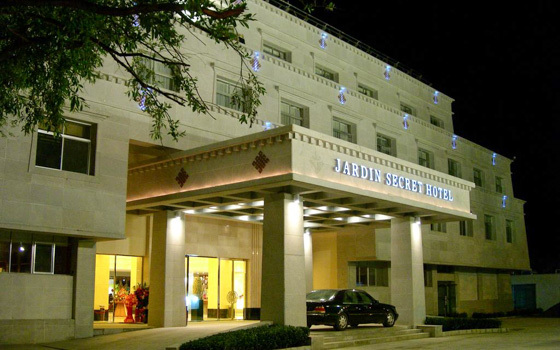 Jardin Secret sits on the beautiful Lhasa river bank. 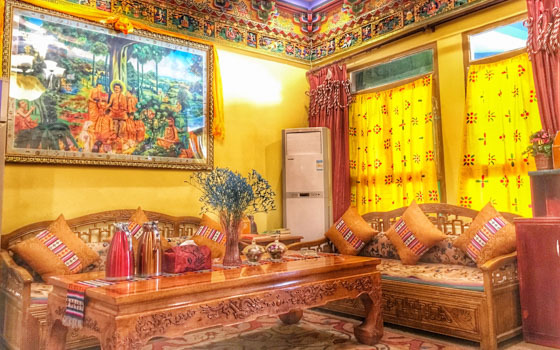 It provides convenient transportation that is very close to Lhasa Train Station and Tibetan Museum, only 10 minute taxi ride to Norbulingka Palace as well. The hotel provides 200 comfortable rooms with a modern design, and also it operates a 24-hour oxygen bar.